Bringing warmth and pleasure to gardens and balconies. Gas burning fire pits give the feel of a cosy fire without the inconvenience of a traditional wood burner. Made from very strong and weatherproof composite materials with an electronic ignition and flame height regulated by the control panel. 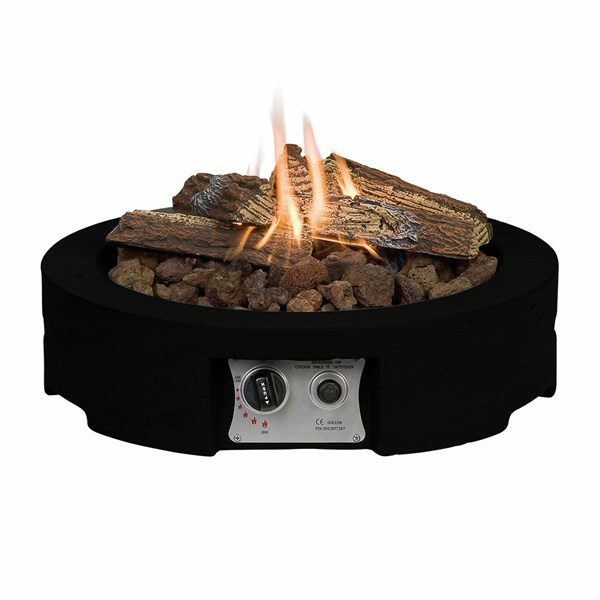 The table top fire pit is powered by a stainless steel gas burner. This fire pit can be used on your existing garden table and is easy to transport around.